When it comes to clothing, I'm not one to go out of my way to match. The idea of mixing prints and color blocking is right up my alley because, honestly, matching is boring! But, when it comes to beauty, going matchy-matchy is quite gorgeous and really makes a statement. I'm not saying you should wear a blue eye liner, with blue lipstick (gasp! ), and a blue ensemble. No, no, no! But, a bright orange lip and a matching manicure is the real deal. Celebrities are doing it, the runways are all for it, so why shouldn't we try it? DKNY is not only embracing the trend, but they are also making it easy to get your hands on two comparable colors. 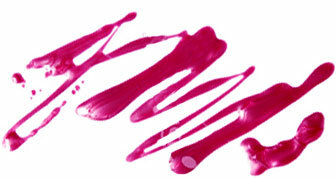 The new Spring Must Haves Lipstick and Lacquer Set, now available at Ulta, is a triple threat of lip and tip combos. Whether you prefer a crimson pairing a la Rihanna at the Grammys, or a hot pink or coral combo, this set has you covered. No more searching for two ideal nail polish and lipstick shades. And for that, DKNY, we thank you!